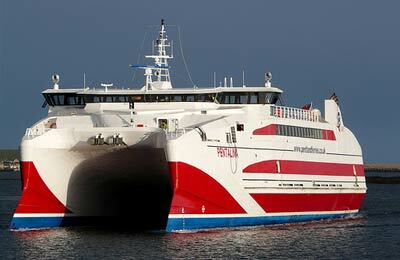 Known locally as The Hope, St Margaret's Hope, is a village on South Ronaldsay in the Orkney Islands, and the St Margaret's Hope ferry port connects The Orkneys with the north-east coast of the Scottish mainland. Opinion is divided as to whether the village is named either after Margaret, Maid of Norway - a Norwegian princess who reigned as Queen of Scots from 1286 and who may have died there - or St. Margaret, Queen of Scotland, the wife of Malcolm III. The village is Orkney's third largest settlement after Kirkwall and Stromness and is connected to mainland Orkney by the A961 road across the Churchill Barriers, a series of four causeways that link the Orkney Mainland to South Ronaldsay via Burray and the two smaller islands of Lamb Holm and Glimps Holm. St Margaret's Hope village has a number of shops and restaurants. The ferry company Pentland Ferries offer regular ferry services from the pier to Gills Bay in mainland Scotland. The islands of Orkney are an increasingly popular holiday destination, hugely popular with those who enjoy the outdoors life, or have a keen interest in archeaology or wildlife. For the history buff, regular archaeological excavations add proof to the notion that Orkney was an important area trade, pilgrimage and worship for thousands of years. South Ronaldsay itself is home to The Tomb of the Eagles, a 5000 year old stone age tomb, while The Ring of Brodgar is a striking, and increasingly famous, Neolithic henge and stone circle 6 miles north-east of Stromness on Mainland Orkney. Closely related to that, the Ness of Brodgar is an archaeological site of around 6 acres which lies between the Ring of Brodgar and the Stones of Stenness. The Ness of Brodgar made worldwide news when it was discovered in the early 2000s, while the Standing Stones of Stenness are the oldest stone circle found in the Orkneys. For wildlife enthusiasts attracted to the quietness and rugged beauty of the coastline, Orkney is a unique place to visit, an ideal getaway from urban living. The islands are alive with the sights and sounds of birds and animals, meadows, moorlands and coastal cliffs that combine to make Orkney a place like no other. Orkney is a perfect location for bird watchers, being on the flight path of thousands of migrating birds and home to more than 20 breeding species of seabird. 13 RSPB reserves are spread out across the islands, attracting both resident and migrating birds. The waters around Orkney are often populated by pods of whales, dolphins and porpoises while reported sightings of basking sharks are on the increase. There is something for everyone to enjoy on Orkney, and the ferry to St Margaret's Hope is the best place to start your journey. Car parks at the port is limited however there are a small number of short-term parking spaces available.